I assume this means just one free drink total, and not one per venue? I've done this before. Do not recommend. I've also line camped after a night of drinking. That was worse. Hard concrete as a bed when I'm drunk as heck? UGH. It nearly killed me lol. On the topic of the bar crawl, I usually keep this as a "back up" thing. Better parties usually come around Friday and Saturday nights. I don't have a source for this, BUT I think Rave of Thrones (or whatever they renamed it) is coming back. A few weeks ago someone sent me a link that indicated it was scheduled, but it was vague so I don't know. That one is my priority. 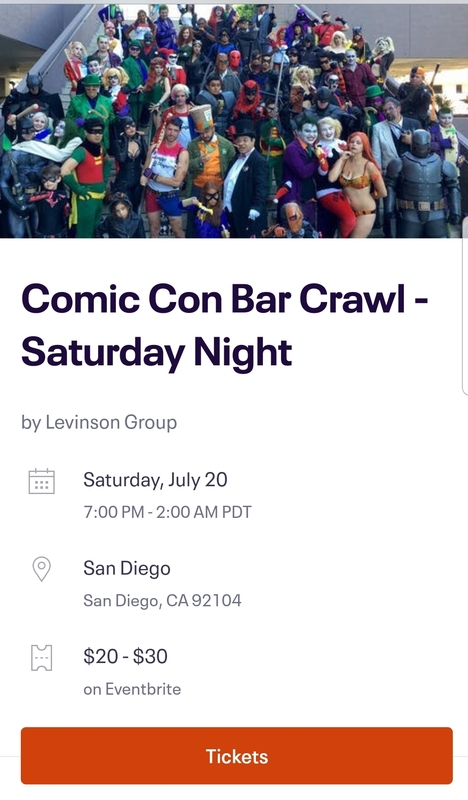 It was the best paid party I've been to at SDCC. If I drink in the Hall H line I am going to have to wake up and pee! Who wants to leave there warm sleeping bag to walk that far to a bathroom? And hiya FoCC folks, I'm fairly sure that was TMI so when I see you all next year I'll be known as "that girl that needs to pee every 10 minutes" and that's ok. This thread is officially going off the rails. 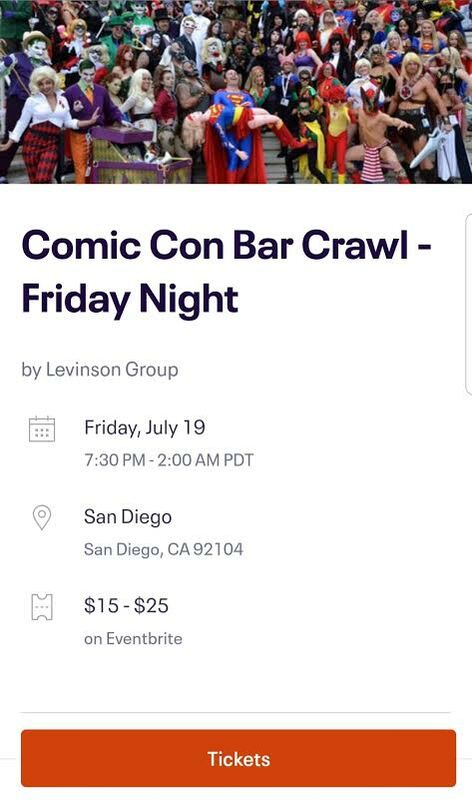 They still let you sleep outside for hall h? That's when the celebrities stop by to say hi! The particular year I was citing was actually for the Everything Else line. Hall H USUALLY gets to sleep on grass (for the most part. Unless it stretched back across the street and near the wharf or there's a "next day line" near the wharf). I think Everything Else line also gets to sleep on grass now, though. Or at least it did in 2017 when I last waited in it.